NOW WITH LOCATIONS IN HALIFAX & MONCTON! All patrons must be 19 and over. 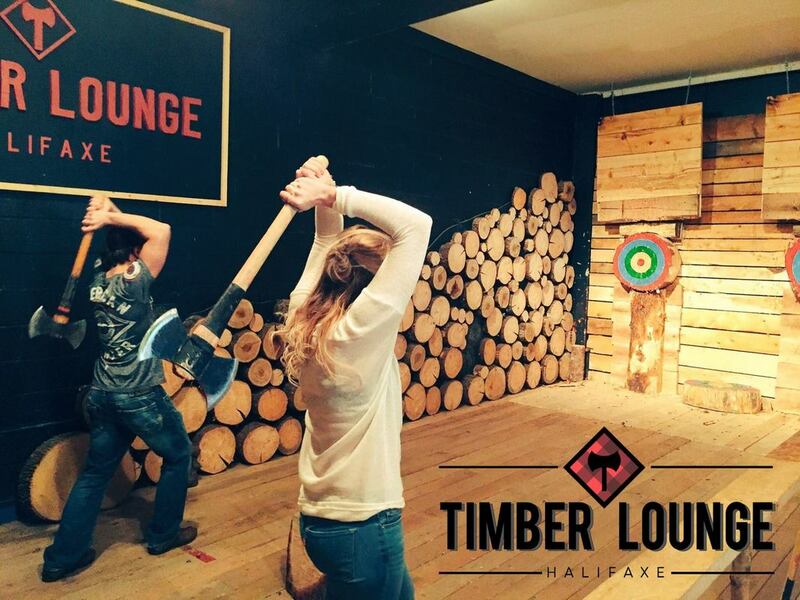 ​Inspired by our traditional lumberjack heritage, the Timber Lounge is a licensed axe throwing facility, where we turn the ordinary into the AXEtraordinary! A great sport for anyone and a great way to let off a little steam. Whether you have had a hard day at the office, want a date night to remember, need to throw the next great party; axe throwing is where it’s at. Let us tempt you with our great selection of local Craft Beer on tap and a variety of local wines & ciders to choose from! 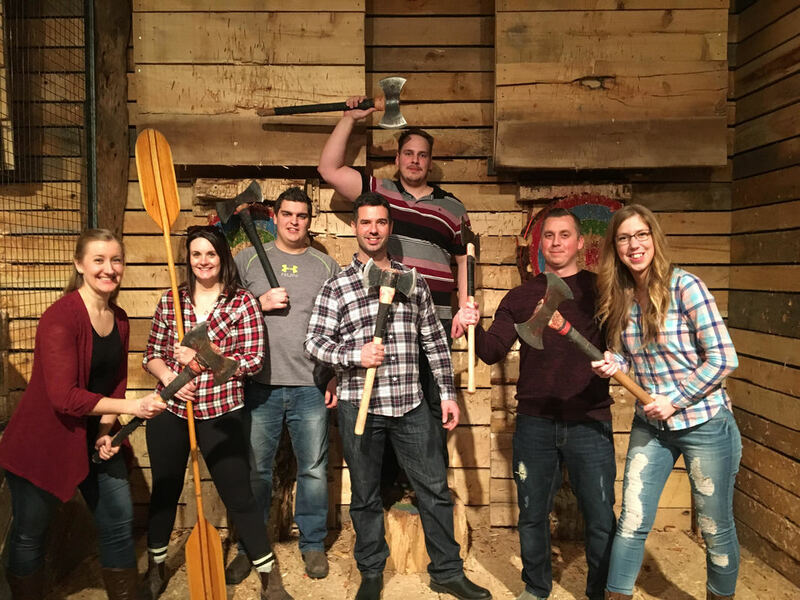 Add the AXEcitement of axe throwing to your next event and make it one for the memory books! Bachelor/ette, birthdays, corporate groups, team building ​& more! 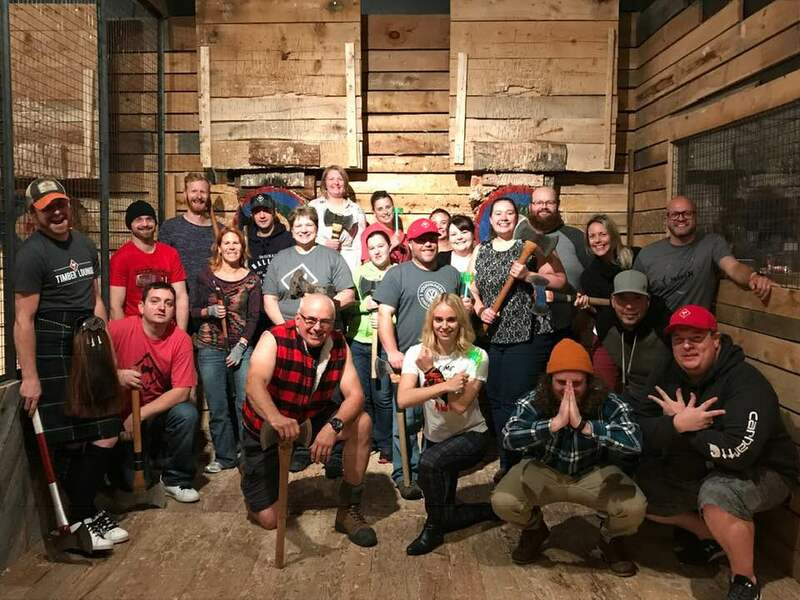 Join us for our league nights and AXEperience the competitive spirit of axe throwing and become a part of our Axe Family. ​Patrons must be 19 and over at the Timber Lounge.